One of my readers tipped me off to the Randsburg General Store which sells soda with phosphates just like they used to in the old days. It just so happened that I was heading up the 395 only a few days later, so I figured a little side trip to check it out would be a great idea. 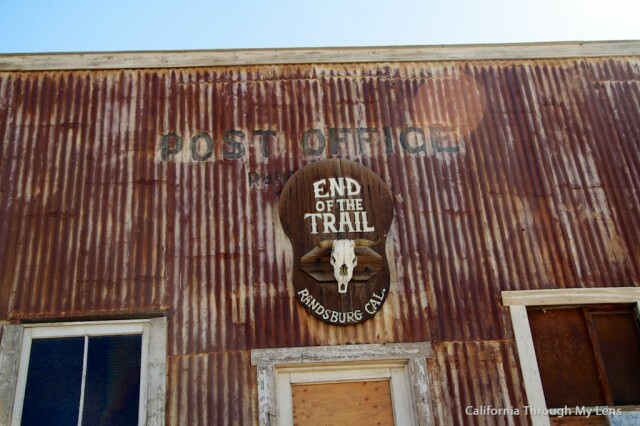 This old mining town is a fun little stop, and I can’t wait to go back and roam around taking pictures. There is a lot of old mining remnants and history that I wanted to photograph, and the main strip of the town is literally 5 minutes off Highway 395. 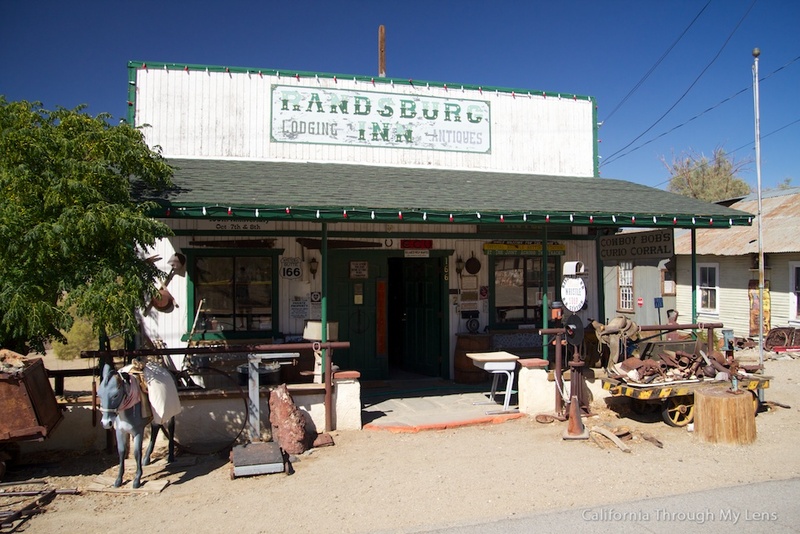 It is interesting to see towns like this still in business even when the highway bypasses them. 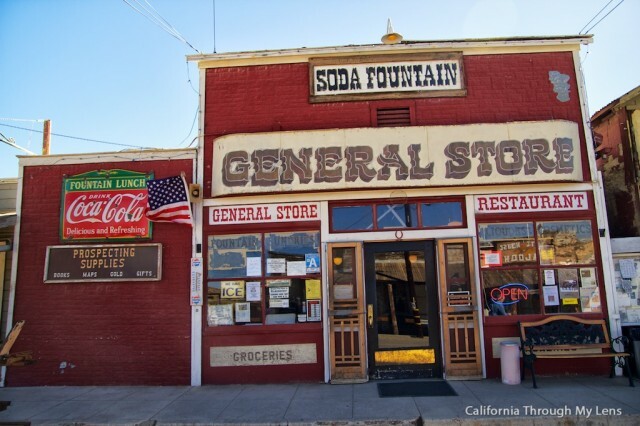 We headed right to the general store in the small main street and went in for a soda with phosphates. Here is a little history on the area. 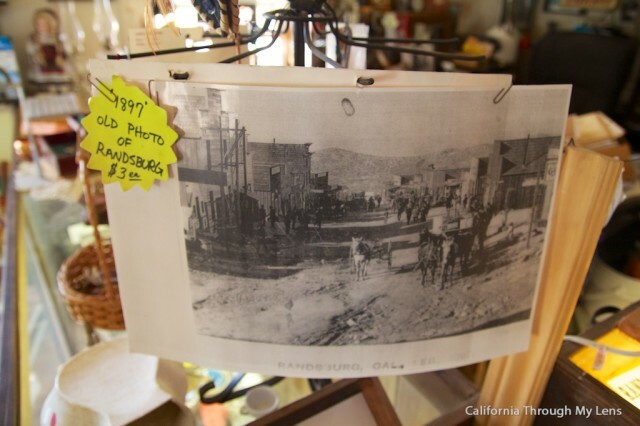 At the end of the 1800’s, gold was discovered at the Rand Mine outside of town. 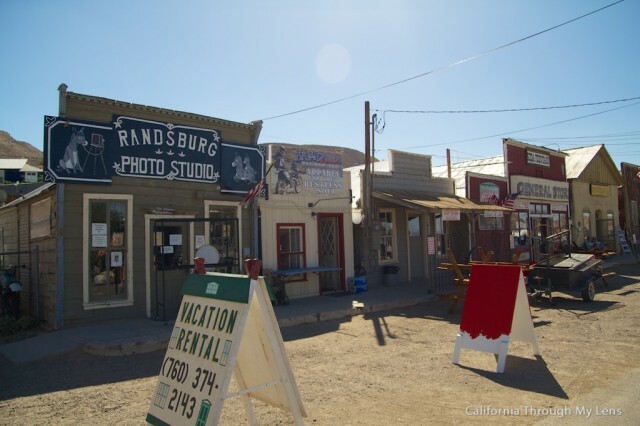 Soon after, a mining town was created with people looking to strike it rich. The town itself began to form in 1897. After the gold dried up, some people stayed and some left, with the city today being little more than a fraction of what it used to be. During the summer it still pulls in a lot of visitors with people driving through on Highway 395. I ended up choosing lime as it seemed pretty unique and my dad got sarsaparilla. 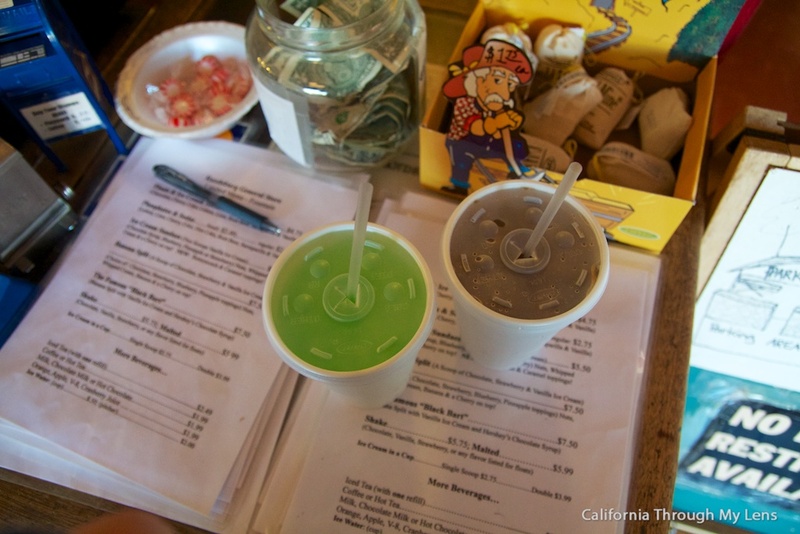 Both of the sodas were good; I ended up liking the lime one with its citrus acid base. The store was old and homey feeling, and they had a small propane tank which I needed for camping, so that was a hit. We wanted to check out the antique shop named Cowboy Bobs down the road and asked the owner of the general store who also ended up owning Cowboy Bobs, and she went and let us in. 20 dollars later and I was the proud owner of a lot of fun antiques from this store. While we were there we found out this store is also a small hotel with a couple of rooms, who knew. 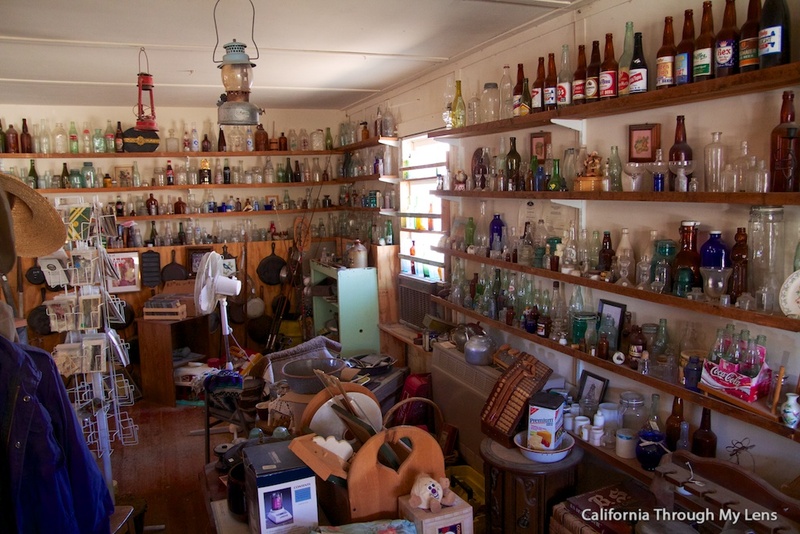 As you are driving out of the town and back to Highway 395, you will see their small jail. I can’t wait to come back and spend a half day taking photos of the old mining stuff. 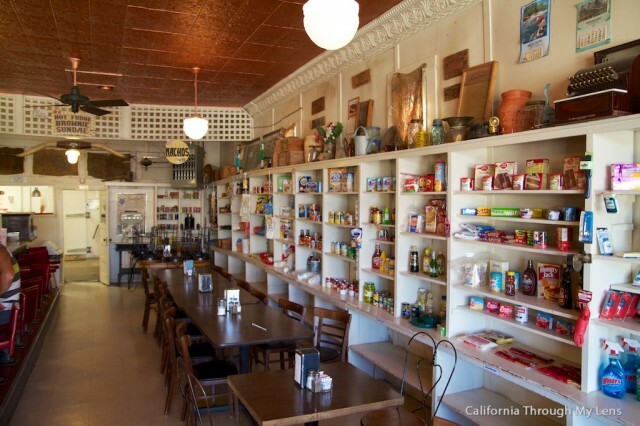 If you are driving the 395, this place is only 5 minutes out of the way, and it is worth the stop. Be sure to leave me a comment below.